Do yourself a favour; FORGIVE! Posted byJudith March 10, 2019 March 10, 2019 Posted inChristian beliefs, Comfort and support, Forgiveness and healing, UncategorizedTags: Christianity, Comfort, Faith, Forgive, Holyspirit, Life, Moving forward, Overcome, PeaceLeave a comment on Do yourself a favour; FORGIVE! Simple ways to overcome the pain of loss. Posted byJudith January 29, 2019 Posted inChristian beliefs, Comfort and support, Faith in God, Holy spirit, UncategorizedTags: Comfort, Encourage, Family, God, Heal, Holy spirit, Life, Overcome, Peace, SuccessLeave a comment on Simple ways to overcome the pain of loss. Did you recieve the Holy Spirit when you believed? A question that must be answered today. Posted byJudith January 17, 2019 January 17, 2019 Posted inChristian beliefs, Comfort and support, Faith in God, Holy spiritTags: Belief, Christianity, Comfort, Encourage, Faith, God, Holy spirit, Life, Overcome, Power, SuccessLeave a comment on Did you recieve the Holy Spirit when you believed? 10 THINGS YOU SHOULD KNOW ABOUT THE COMFORTER – THE HOLY GHOST. We have such an amazing person with us, yet we ignore him. 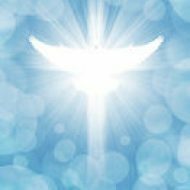 Posted byJudith January 5, 2019 March 10, 2019 Posted inComfort and support, Faith in GodTags: Comfort, Encourage, Faith, God, Holy spirit, Life, Overcome, PowerLeave a comment on 10 THINGS YOU SHOULD KNOW ABOUT THE COMFORTER – THE HOLY GHOST.